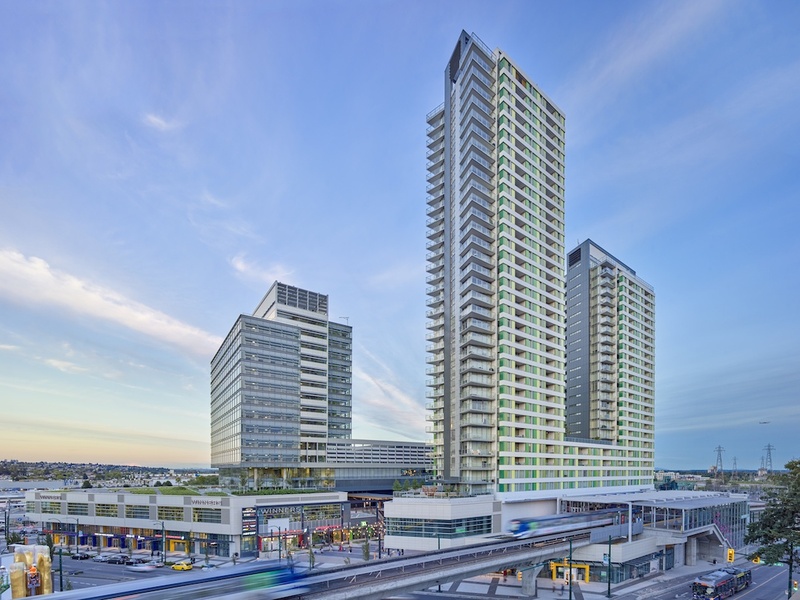 Eight years after the opening of the Canada Line, Marine Gateway by PCI Developments Corp. is the SkyTrain line’s first major transit-oriented development and one of the region’s most successful given the area’s near-instant transformation into a vibrant hub. “said ULI Global Chief Executive Officer Patrick L. Phillips in a statement. 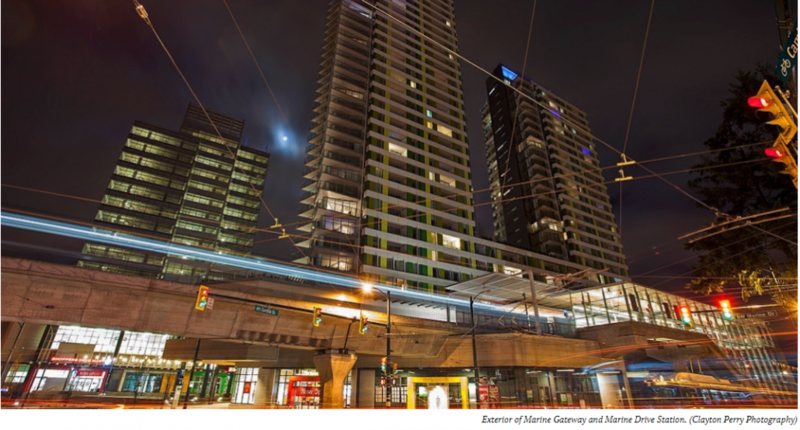 Marine Gateway is one of thirteen developments named by the ULI in this year’s awards, with other winners including Azkuna Zentroa in Bilbao, Kashiwa-no-ha Smart City in Japan’s Chiba Prefecture, and the West Don Lands in Toronto. “These projects reflect the highest standards of design, construction, economics, planning, and management. But most important, they are improving people’s quality of life,” Phillips continued. Completed approximately two years ago, Marine Gateway has 415 market residential units, 46 rental apartment units, 260,000 sq. ft. of office space, and 230,000 sq. ft. of retail including Cineplex, T&T Supermarket, Winners, Steve Nash Fitness World, and various restaurants, services, and smaller businesses. 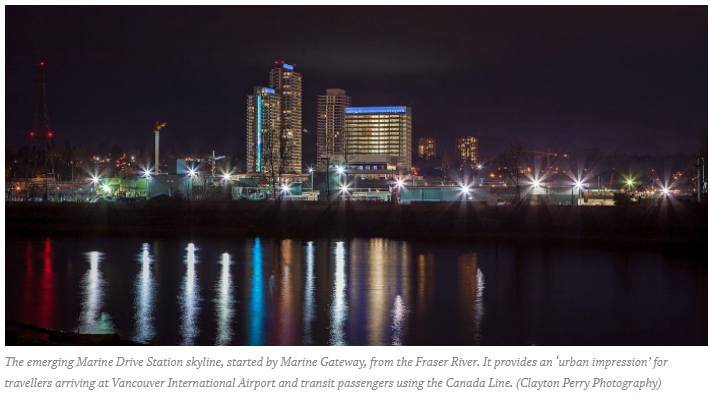 The development houses 750 residents – not including the adjacent residential developments that have been a catalyst of both Marine Gateway and the Canada Line station – and 2,000 jobs. The Marine Gateway development alone is estimated to have boosted the ridership at Marine Drive Station by 5,000 passengers per day.